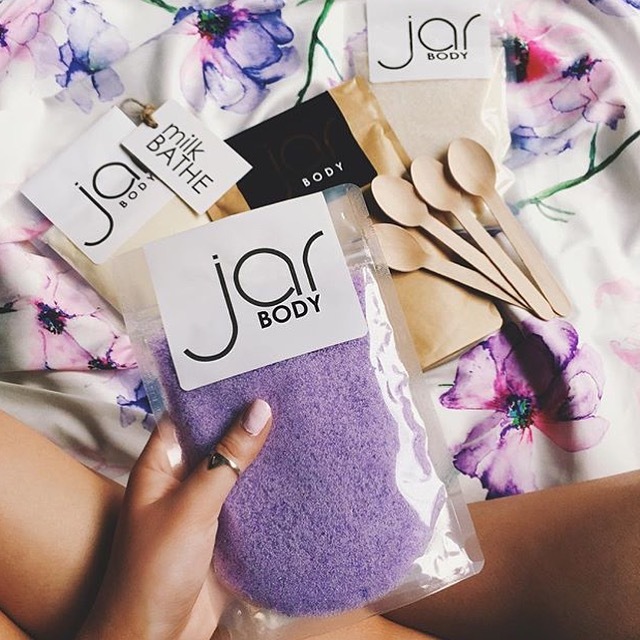 Jar Body Scrubs! More than meets the Eye… – VEGAN. NATURAL. CRUELTY FREE. Jar Body Products body scrubs look fun and colourful, however there is so much more going on inside every pack! Our products have been formulated with ingredients that compliment each other, working together to give you a complete skin ritual. Sea Salt & Organic Sugars work together to slough away your dry flaky skin, old fake tan and dirt. By doing so this allows your new skin to re-grow evenly and with a healthy glow. You will notice a big difference to your complexion after a week with Jar! Other nourishing oils and vitamins will add moisture and repair your skin long after you scrub. Jar Body 200gm and 220gm packs will give you 3-5 full body scrubs and our 270gm scrub tubs 6-8. A little jar goes a long way! Use twice a week. Remember to take 3 scoops into the shower, pre prepared in a dish. Keep you pack sealed and stored away for next time! 6: Rinse. Dry & use a body cream if you wish.